Dorothy Jean “Dottie” Miller, 75, of Pleasant Hill, was born, December 10, 1942, in Pleasant Hill, the daughter of Pete and Pauline (Smith) McMurphy. She departed this life, Saturday, September 22, 2018, at St. Luke’s Hospice House, Kansas City, surrounded with love and family. Dottie attended grade school in Pleasant Hill. The family moved to Butler in 1950 and she graduated from Butler High School in 1960. Following graduation she moved to Kansas City where she worked for the Division of Family Services. Later she moved back to Pleasant Hill and went to work for Western Electric, until starting a family. She was a homemaker for many years and occasionally worked estate sales for the Barrow Sisters. On June 8, 1963, she was united in marriage to Donald Wesley Miller in Pleasant Hill. He preceded her in death on February 7, 2009. Dottie was also preceded in death by her parents; one brother, Vernon Dean McMurphy; an infant sister, Kathryn “Scrappy” Marie McMurphy; two infant children, Debbie J. Miller and Danny W. Miller; and one grandson, Denton WayneMiller. She is survived by one son Doug (and Julie) Miller of Gladstone; one daughter, Dana Doyle of Lake Ozark; nine grandchildren, AprilMiller, AdamDoyle, AnthonyDoyle, AlecDoyle, Ashlynne Doyle, Gustavo Doyle, Truman Doyle, Jacob Doyle, and JasmynDoyle; two sisters, Patsy (and Jack) Zellmer of Lexington, Nebraska, and Sandi (and Ron) Beatty of Pleasant Hill; her sister-in-law, Christine McMurphy of Pleasant Hill; several nieces and nephews; other relatives and friends. 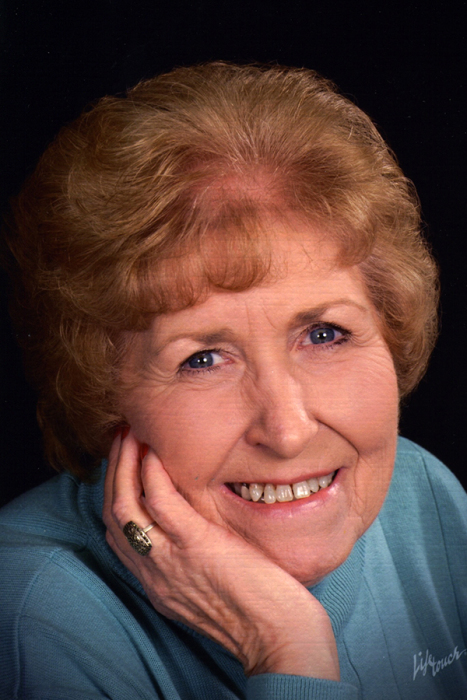 Dottie was an active member of the Pleasant Hill First Christian Church, where she was also a deacon, and a charter member of the Beta Sigma Phi Sorority of Pleasant Hill. She was a former member of the Pleasant Hill Optimist Club, the Modern Matrons, and the Bit & Spur Club. She enjoyed shopping and collecting cookie jars, salt & pepper shakers, antiques, and spending time with family and friends. Funeral services were held Wednesday, September 26, 2018, at the funeral home. Reverend’s Kent and Carla Deubner officiated. Interment was in the Pleasant Hill Cemetery. Casket bearers were Jason Beatty, Adam Doyle, Alec Doyle, Anthony Doyle, Jeff Miller, and Rick Zellmer. Memorial contributions are suggested to the First Christian Church or to the St. Luke’s Hospice House and may be sent in care of the funeral home.